This type of rocket engine lifted Apollo astronauts off the moon and into lunar orbit where they joined the mother ship for the journey back to earth. The engine requires no ignition; when the fuels meet, they burn on mere contact. 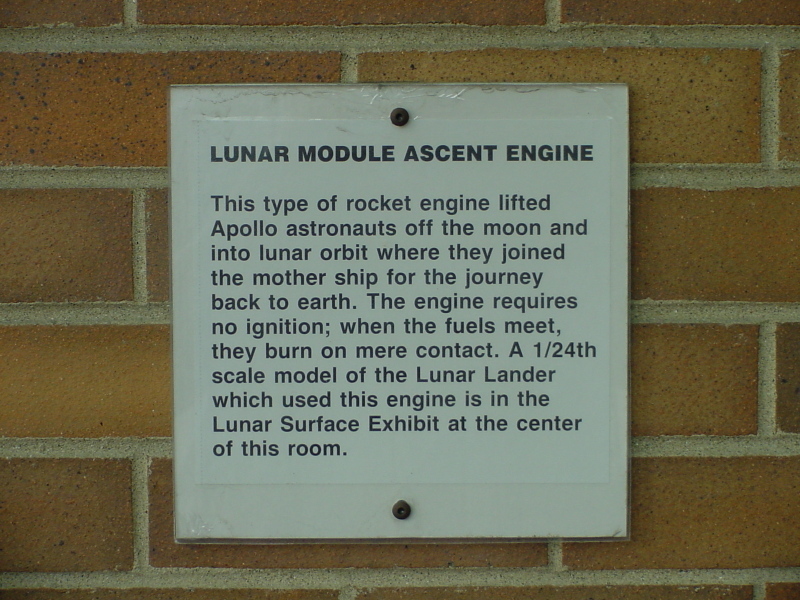 A 1/24th scale model of the Lunar Lander which used this engine is in the Lunar Surface Exhibit at the center of this room.